(Bloomberg) — The union representative on Codelco’s board of directors fears a proposal by Chile’s incoming government to split the giant copper producer in two is a first step toward privatization. Chile’s incoming government is working on a plan to break up Codelco into northern and southern divisions, Mining Minister Baldo Prokurica told La Tercera newspaper last week. The new cabinet led by President-elect Sebastian Pinera is scheduled to take over March 11. Pinera, who was president in 2010-2014, begins his new term with copper prices on the rise, fueling hopes that mining investment will resume in the world’s largest producing country. Codelco is undertaking an $18.3 billion investment program to upgrade its aging mines and maintain production levels. The company has said it can finance some of the program, but it will need funding from a government that has pledged to cut public spending. Prokurica hasn’t mentioned any plans to privatize Codelco. His team didn’t immediately respond to a request for comment Thursday. In his campaign manifesto, Pinera vowed to give Codelco more independence from political intervention and to make the company more efficient. His campaign also talked about the need for “deep reflection” on funding. The new government plans to appoint a new company chairman, replace two existing directors and is considering increasing the number of board members from nine to 11. In the lead-up to Pinera’s first presidential term, he included a proposal to sell a minority stake in Codelco, which led to a public outcry and was later dropped. 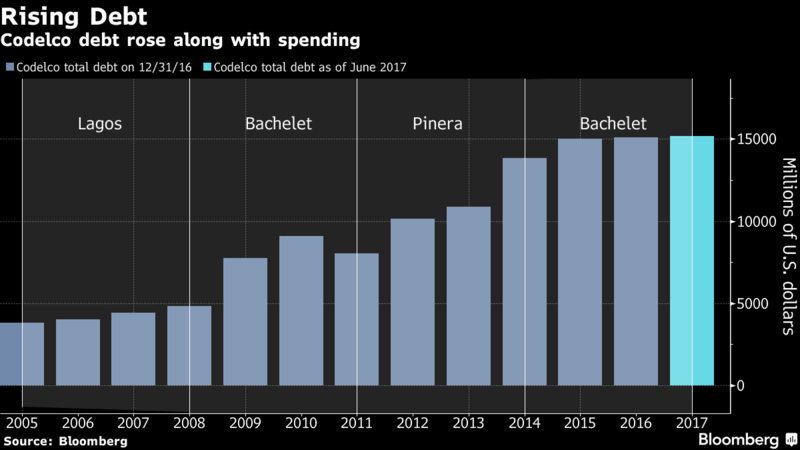 During that administration, Codelco’s debt levels jumped 84 percent despite higher copper prices. Espinoza said there are similarities between Prokurica’s plans and the privatization process that Chilean public companies went through during Augusto Pinochet’s dictatorship in the ’70s and ’80s, citing examples such as rail, water and road-management. “Codelco is the icing of the cake,” he said. The Federation of Copper Workers is an umbrella group that includes unions in all of Codelco’s divisions. Espinoza has been a board member of the company since 2012. The company’s unions will meet in two weeks to issue an official response to Prokurica’s comments, he said. Pinera takes office as Chilean miners face an unprecedented number of wage negotiations in 2018. Companies are negotiating contracts with 32 different unions under new labor rules that prevent them from reducing existing worker benefits. 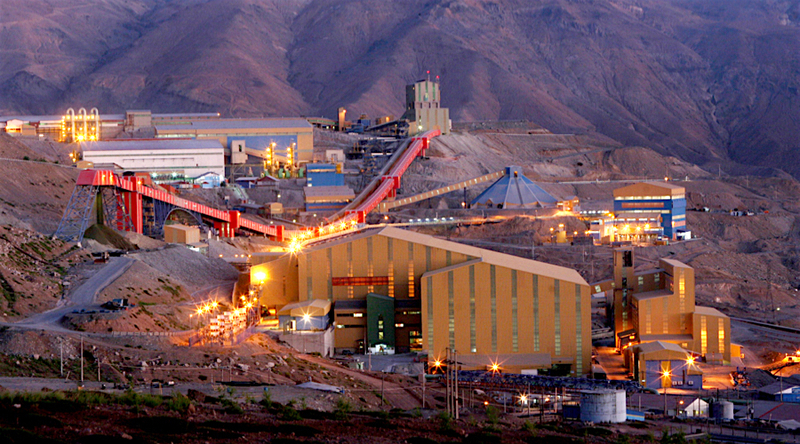 Codelco recently signed a contract with two unions at the Andina mine and will negotiate with unions in most of its other divisions later this year.